"Company" means Right Action Ltd trading as the Spill Control Centre with the registered office at Atkinsons Way, Foxhills Industrial Estate, Scunthorpe, DN15 8QJ. "Consumer" means an individual who is not acting for the purposes of his or her business or profession. "Customer" means any person, body of persons, firm or company (acting in its own right or through any employee or agent) with whom the Company enters into a contract for the sale of the Goods by the Company. "Contract" means any contract describe in the above definition of “Customer”. 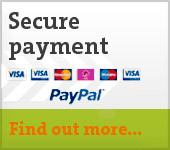 "Goods" means the products offered for sale by the Company on its website www.spillcontrolcentre.co.uk. "Website" means www.spillcontrolcentre.co.uk. 3.4 All stock is subject to availability. The Company will endeavour to contact the Customer within 24 hours of receipt of an order to advise the Customer when stock is unavailable. 4.2 The Company shall not be liable for any variations in any specification or description of the Goods which do not materially affect the specification, use and operation of the Goods. The Company reserves the right to make any changes in the specification so as to conform to any applicable safety or other statutory requirements. 5.3 All prices are given by the Company are on an ex works basis, unless otherwise stated. 5.4 Prices are shown excluding VAT but by following the link on the website the Customer can view prices including VAT. (1) all details provided to the Company for the purpose of purchasing the Goods offered on the Website are correct and accurate; the Customer shall pay any extra costs incurred by the Company in attempting to deliver the Goods if the delivery address provided by the Customer is inaccurate or incomplete or a delivery has to be aborted because of inaccurate information provided by the Customer*. The Company may withhold re-despatch of the Goods until such costs as well as (at the Company’s sole discretion) reasonable storage charges are paid by the Customer. 6.2 Guidance on the choice, use and applications of products offered for sale by the Company is available on our web site. THE ASSESSMENT OF RISK AND THE CHOICE AND POSITIONING OF ALL PRODUCTS IS THE SOLE RESPONSIBILITY OF THE CUSTOMER. The Customer is ultimately responsible for ensuring the equipment purchased is compliant with current legislation applicable to their premises, Building Regulations and good practice. All electrical equipment requiring mains power supply must be installed by a qualified electrician to current IEEE regulations. 8.1 The Company will endeavour to deliver the Goods in accordance with the expected delivery date acknowledged to the Customer. However any delivery time given is only an estimate as the Company is reliant on external courier companies over which it has no influence. No liability is accepted for failure to deliver the Goods within the endeavoured time if a delay is caused by circumstances beyond the control of the Company, such as delays caused by delivery companies or manufacturers lead times. The Company will advise the Customer of any delay and the Customer shall be entitled to cancel the order within 24 hours of being notified if the revised expected delivery date is unacceptable. 8.2 If the consumer add’s special delivery instructions, e.g 'please leave parcel on back door step if not in', the Company cannot provide proof of delivery, should the parcel go missing. The Company will, however, provide a proof of shipping, if requested. The Consumer is responsible for any losses suffered as a result of a parcel being left in a specific location at their request. If the Customer is not in residence when a delivery is attempted, the delivery driver will leave a card with details of the time delivery was attempted and the telephone number of the local parcel depot for the Customer to re-arrange delivery or collection. Please note that if the parcel cannot be delivered after several days and has to be returned, the Company reserve the right to charge the Customer a second delivery charge for re-delivery, should the Customer still wish to receive the product. Alternatively, the Company may at their discretion cancel the order and issue a refund. 8.3 If delivery is aborted by our carrier a fee will be payable of 15% of the total cost of your order, such fee will be confirmed in writing. Out of service lifts or inaccessible doors. It is important that you inform us if you believe there may be a problem of this or similar kinds. Any products that require installation should be installed in accordance with the manufacturer’s instructions. Unless the price quoted clearly indicates that installation is included you should assume it is not. If installation is not included it is your responsibility to ensure the product is installed in accordance with the manufacturer’s instructions. It is your responsibility to ensure that floor loading restrictions are adhered to. We accept no responsibility for any loss or damage as a result of floor limits being exceeded as a result of the installation of the product(s). If you pay and we arrange for a qualified installer to install the product, we accept no responsibility for any loss, damage or expenses incurred as a result of the installation. 8.4 Goods will only be despatched after either (1) credit/debit card payment has been accepted by the card provider or (2) the Customer’s cheque has cleared in full. 8.5 Title to the Goods passes to the customer on the Goods leaving the Company’s premises. Delivery of the Goods shall be deemed to have take place: (1) if the Goods are delivered by a delivery company, when the Goods are unloaded at the address specified by the Customer; (2) if the Goods are collected by the Customer, when the Goods are handed to the Customer at the Company’s registered office premises. 8.6 All Goods are visually inspected by the Company and despatched free of external damage. It is the Customer’s responsibility to check the Goods immediately on receipt for external damage. 8.7 In the case of Business Customers, the Company does not accept liability for shortages or damage to Goods delivered unless the Customer advises the Company of such defects of the Goods within 3 days of receipt of the Goods. In the case of Consumers, they should notify shortages or damage within a reasonable period of becoming aware of the same. 8.8 The Customer may request from the Company a proof of delivery, provided that this request is made in writing within 3 months of the date of despatch and the company shall use reasonable endeavours to provide such proof. After 3 months, delivery shall be deemed to have been successfully completed. 8.9 The Company may elect to deliver the Goods in instalments and no failure by the Company in respect of any one or more instalments shall entitle the Customer to treat the Contract as a whole as repudiated. 8.10 The charge for delivery is stated in the basket as a product is purchased. The amount for delivery will vary dependent on the items ordered. Where delivery is FREE it will be clearly stated alongside the product details. For orders placed from outside the UK mainland and to certain outlying areas of the UK these charges do not apply and the Company charges actual postage rates plus packaging costs. The Company may vary these charges and restrictions at any time at its discretion. Any changes to these charges and restrictions will be posted on our website and the Customer will be advised of any delivery surcharges before payment is taken. 9.3 Subject to the right of Consumers under The Consumer Protection (Distance Selling) Regulations 2000, the Company does not accept liability for the suitability or specification of the Goods. It is the Customer’s sole responsibility to chose Goods from the Company’s range which are suitable and have the correct specification for the Customer’s purposes. THE COMPANY DOES NOT ACCEPT RETURNS WHICH THE CUSTOMER AFTER RECEIPT DECIDES ARE UNSUITABLE FOR HIS PURPOSES. 9.4 Failure to notify the Company of the non-delivery of the Goods, or any of them within 14 days of the due date for delivery will release the Company from liability for claims for non-delivery. 9.5 Subject to the rights of Consumers set out below, the Company shall have no liability to the Customer in respect of damaged or defective Goods (and the Customer shall be required to pay the full Contract price) where:- (a) any claim made by the Customer is not in accordance with these terms and conditions (b) damage has been sustained after delivery of the Goods to the Customer, or its agents (c) defects are caused by installation (d) or operation other than in accordance with any instructions supplied in writing with the Goods or if any adjustment, alteration or other work has been performed on the Goods by any person other than the Company or its employees or agents. 10.2 Goods Faulty on Arrival. If you are reporting faulty goods within 28 days of receipt (please note that for business customers, this is 10 days), and when the goods are returned to us complete, we will issue a full refund to you via your original payment method. 10.3 Goods Damaged in Transit. If the goods are damaged in transit, the Company request that the Customer report it to the Company within 24 hours from receipt of the goods. If goods are visibly damaged on receipt, the Customer should sign the delivery note accordingly. Once the damaged goods have been collected and received back into the Companies warehouse, the Company will issue a full refund to the Customer via their original payment method. 10.4 Goods Faulty in Warranty Period . If the Customer is reporting faulty goods after 28 days of receipt, then provided the product is within its warranty period, the Customer is entitled to a warranty repair or replacement. In some cases, manufacturers provide warranty support and repair services and or telephone help facilities for the Customers convenience. This does not affect the Customers rights to claim against the Company under the Sales of Goods Act (as amended) if the goods do not conform to the contract and the manufacturer does not repair or replace the goods or offer the Customer an alternative remedy. 10.5 Change Your Mind. If the Customer changes their mind and is a Consumer (not applicable to business customers), and the goods have not been in their possession for over 14 days, then the Customer is entitled to return the goods to the Company for a full refund on condition that the Customer take reasonable care of the goods until they are returned to the Company. In particular this means that you will: - not open shrink-wrapped or blister pack products or break any manufacturers seals. - return in good condition including all packaging, manuals, cables etc - return the goods in a condition that would enable the Company to resell them as new. Please note that if the Customer changes their mind the cost of returning Goods is the responsibility of the Customer. 10.6 If the Customer changes their mind and is a business customer the Company does not accept the return of goods. 12. Force Majeure The Company shall not be liable for any delay, or other failure to perform any part of the Contract, as a result of any factor outside the Company's control, whether an Act of God or otherwise. 13. The Consumer Protection (Distance Selling) Regulations 2000. 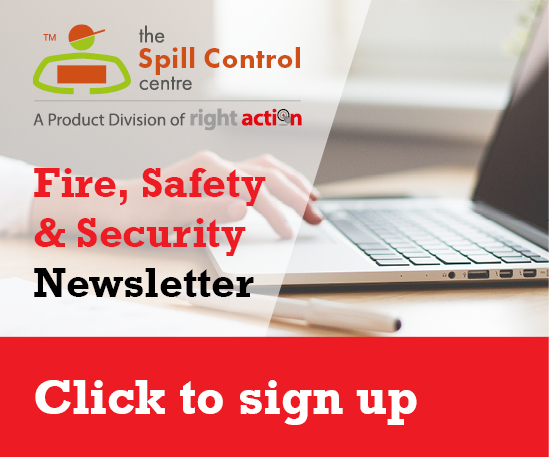 13.2 If the Regulations apply Customers may cancel goods purchased from the Company by sending a written notice of cancellation by post or hand delivery to the Company’s registered office address or by email to sales@spillcontrolcentre.co.uk. ll trademarks, service marks and trade names are proprietary to the Spill Control Centre or other respective owners who have granted the Spill Control Centre the right to use such marks. 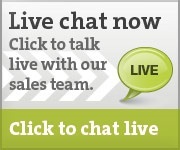 If you are unhappy with any aspect of our service, you can write to us at sales@spillcontrolcentre.co.uk. You can also submit your complaint on the European Commission's Online Dispute Resolution Platform.